Thank you for this review! 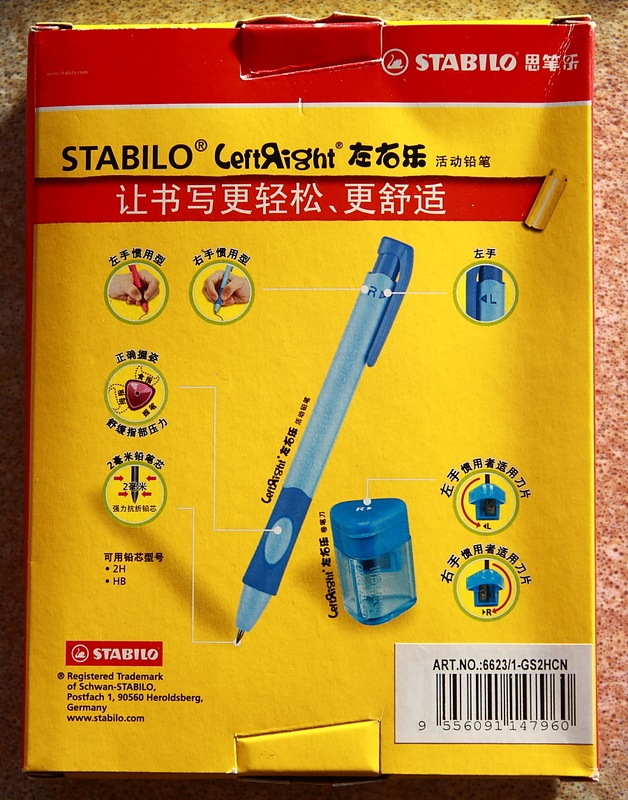 I haven’t seen this pencil before, and I couldn’t find it on Stabilo’s German website. – It looks very nice but the disadvantages you have mentioned are off-putting. It is a pity since it is great to see a standard lead size in such a pencil, and the sharpener seems to be great too. Interesting item and thorough review. 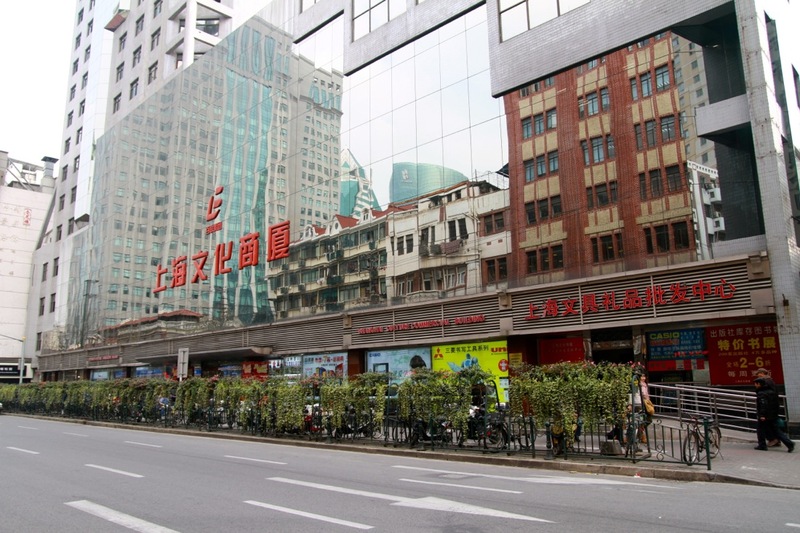 These posts about Chinese stationery retailers I find very interesting…now we just need you to visit Japan for the blog to really “hit the roof”. 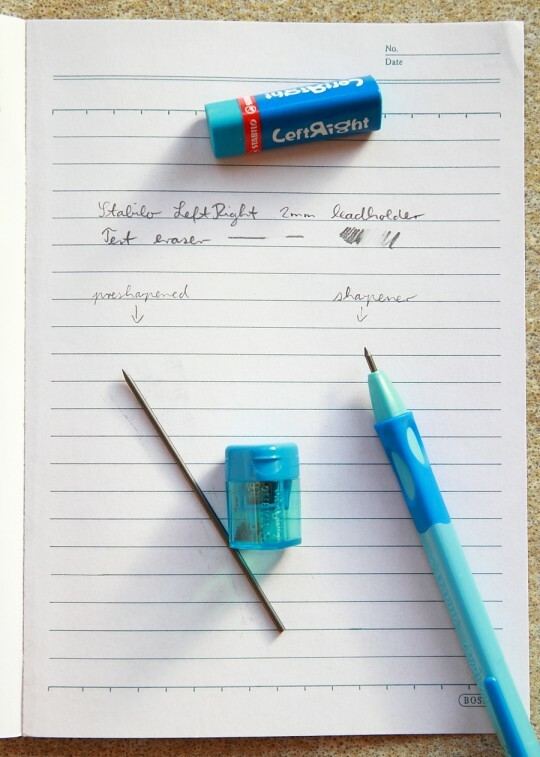 Is this pencil a regular 2mm push and gravity feed type or an incremental feed type like the Staedtler 925-25-20? – I’m assuming it is the regular 2mm given its inexpensive price. 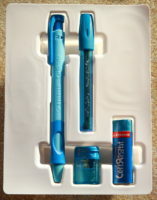 Again another well presented modern pencil that seems like more hype than substance. 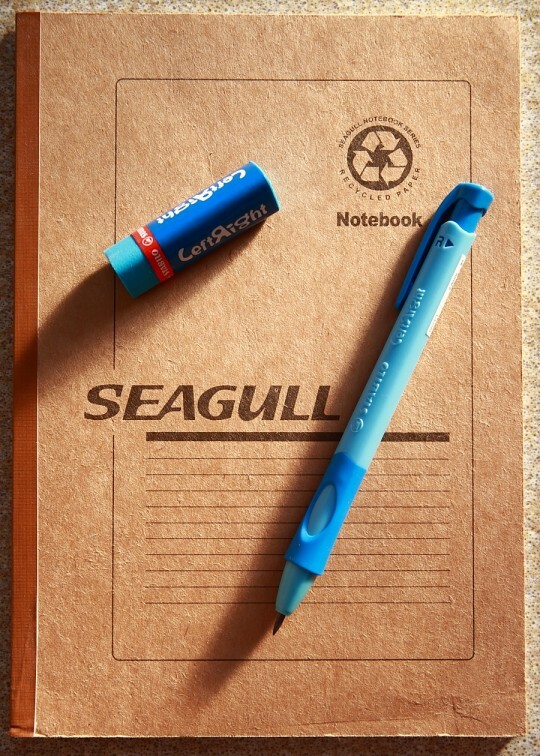 Perhaps a ballpoint as you suggest may be the right product for this type of restrictive grip. 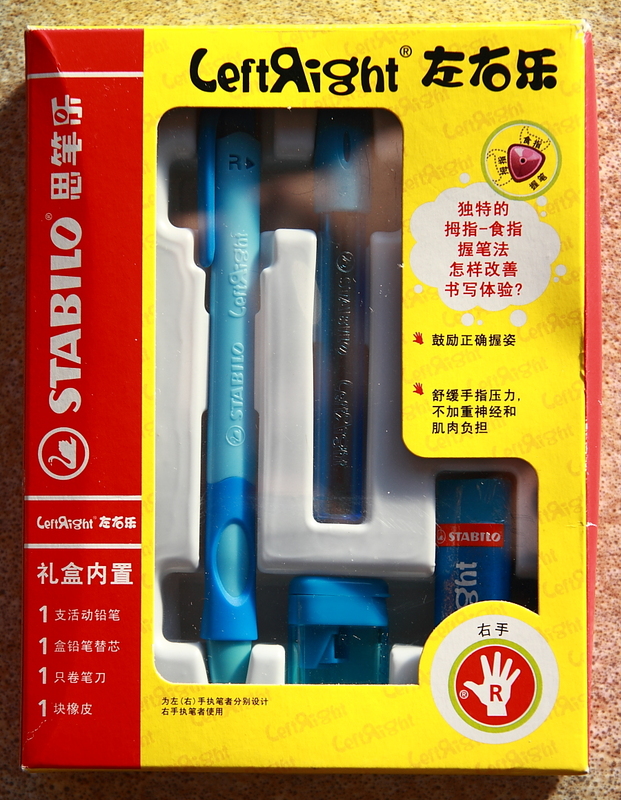 It seems Stabilo’s business model revolves around quirky designs and functions and the colour “baby blue”. 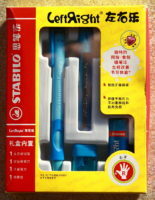 That store is also tends to be the only place you can get a number of pen/pencil stationary items in Shanghai. Kevin, I hope I’ll find the time to write more. There are a few more things I want to write about, but to be honest, that happens every time after I am back from Shanghai and after a few weeks I usually give up and write blog posts about new things, because I think the information from Shanghai is too old by then. The LeftRight is the incremental feed type, you can use it upside down if you want. Each time you press the lead is propelled approx. 2mm. 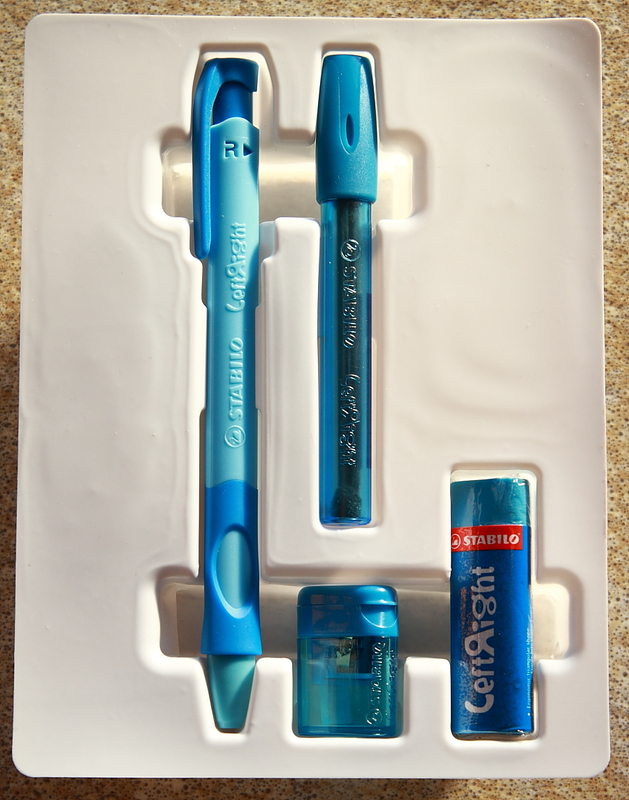 The baby blue is actually quite nice. The blue fits well with Lexikaliker’s logo and reminds me of the two shades of blue of a Commodore 64 screen. ExcaliburZ, I have seen many of the items in this shop in other shops, but some things you can find there are not common in Shanghai. 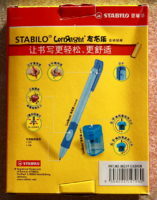 For example many of their imported Staedtler and Faber-Castell items. They also used to have a Pelikan counter, but it either moved or closed down. I wouldn’t be surprised if it closed down as Pelikan pens in Shanghai tend to be about twice as expensive as in Europe. Thanks Matthias for the explanation re the feed type …this certainly sets it apart as an inexpensive 2mm incremental feed,..I can’t think of any others in the low cost range. This makes the grip problem even more frustrating. Matthis: don’t know about others but for me blogs aren’t newspaper, timeliness isn’t why i keep reading them. i wouldn’t mind hearing about what you saw in Shanghai even months after your visit, especially now that your reports are so detailed. so thanks for sharing and keep them coming please! Kevin, yes, it is a real shame.. Forwarding the lead feels like a normal mechanical pencil. Claire, once I wrote about the new Shanghai stuff I might be tempted to write about things from the past. The problem is that for every blog post I find time to write I get several new ideas for blog posts that never materialise.